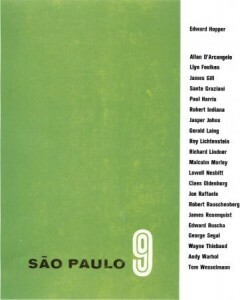 Barnett Fine Art is proud to once again be working with James Gill and his new publisher as an American Partner. Gill and his new publisher are really committed to doing fine work, and have collaborated to produce extraordinary Limited Edition prints. 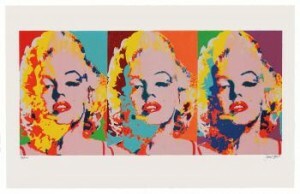 These serigraphs are printed on high quality handmade paper, and each is signed and numbered by Gill. This is investment art. Gill’s prices should begin to climb to the level of fellow world-renowned Pop Artists, so buy what you can while it’s still available. Several of these new works are featured throughout the blog. As one of the founding members of the Pop Art movement, James Gill is best known for his sudden and complete departure from the art world in 1972. Gill had spent a decade in the Pop Art movement, a career which began when he arrived in Los Angeles in the summer of 1962. The 28-year-old Gill brought with him a series of paintings titled “Women in Cars.” Gill walked into the renowned Felix Landau Gallery where Landau did something he’d never done before, giving Gill representation on the spot. By November, Gill’s 3-panel painting of Marilyn Monroe, “Marilyn Tryptych,” had achieved international acclaim. The painting was featured in Life magazine and purchased by the Museum of Modern Art. And another interesting historical tidbit: Gill’s study of Monroe was completed prior to Warhol’s first rendition of the actress. Gill continued his rise throughout the ’60s. He was a part of the famous São Paulo 9 exhibit, which featured among others, Andy Warhol, Tom Wesselmann, and Roy Lictenstein. 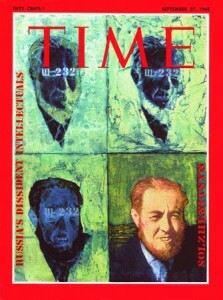 He was commissioned to paint the cover for Time magazine in 1968 of the newly-free Russian political prisoner Aleksandr Solzhenitsyn, who two years later won the Nobel Prize in literature. Museums across the country, including the Smithsonian, The Art Institute of Chicago, and Whitney Museum of American Art added his works to their collection. By 1970, Gill’s meteoric rise had reached its apex. And then, just two years later in 1972, Gill vanished from the art world altogether, moving to rural Oregon. Gill himself has said little about his departure from the scene. He expressed a desire to take a new approach to his art without the influences of materialism. Some have speculated that the hugely famous Gill found himself in lifestyle to which he was unaccustomed, and wanted to leave fame and its overwhelming trappings behind. Gill spent nearly 30 years in exile, renewing and refining his artistic approach. 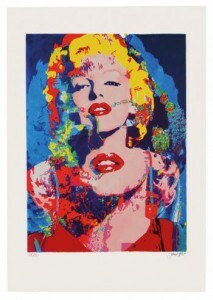 He returned in 2008 with an auction of his work in Westlake Village, California,. And continues to paint today. Contact Patty Barnett at 504.524.2922, or info@barnettfineart.com for more information. This entry was posted on Wednesday, January 14th, 2015	at 10:00 pm	and is filed under Art News	. Both comments and pings are currently closed.